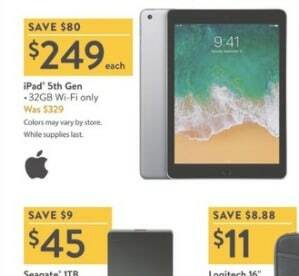 As usual, Walmart tops the list of Black Friday deals for 2017. 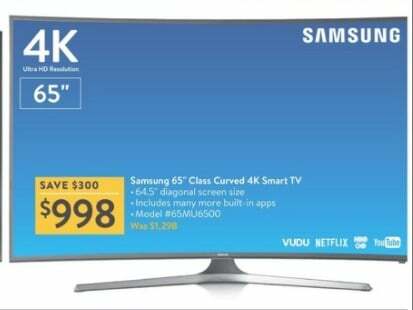 They’re offering a free $300 Walmart Gift Card with purchase and qualifying payment plan of Apple or Samsung device, plus have quite a few excellent deals for name brand televisions and Google devices. Walmart says they’ll be carrying increased inventory this year, including for a majority of their notable offers, so if you can’t make it to store or can’t shop online as soon as the deals kick off, you should still be able to find any at a later time. 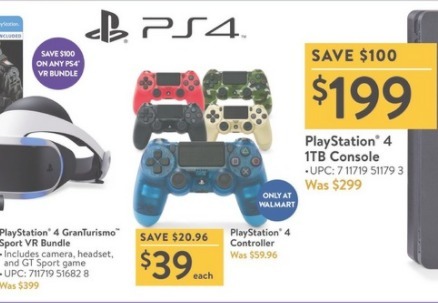 However, there are only so many doorbusters that retailers have in stock, so do try to shop these sales quick because the store is known to have run door busting deals literally. Here are a few suggestions as to what to shop at Walmart this holiday. Here are Walmart top 5 deals for 2017 Black Friday. 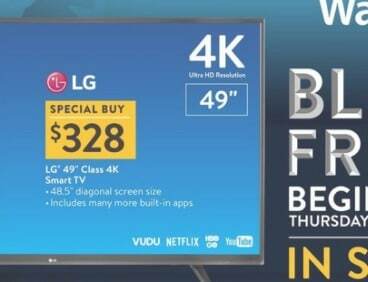 Other retailers are selling 65-inch 4K televisions cheaper, but this one comes with a full set of features for a price under $1000. This LG set comes with best price so far. A mid-size television from a trusted brand, the 49-inch 4K TV leaves no room for complaints as it comes with smart features and built-in streaming apps of the most popular. 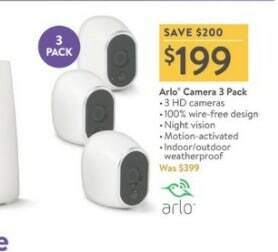 This is a great security camera kit that includes 3 wire-free cameras for use indoors or outdoors, with the possibility to add extra cameras. And the price? Fantastic, considering this is what you’d normally be paying for a single camera of a big brand. If you were looking for it, look no further because this is the lowest price for this model on the market right now. It comes in various colors and with ultrafast wireless connectivity. The selection includes the Call of Duty combo pack for Xbox One and Playstation 4. It features the new Call of Duty WWII and Call of Duty Infinite Warfare SE for only $59. Other games: Super Mario Maker for Nintendo 3DS, Mario + Rabbits Kingdom Battle for gamers on-the-go, Agents of Mayhem for PS4, Middle-earth: Shadow of War for Xbox One and tens of others, plus you can purchase at $199 a 1TB Playstation 4, or at $189 an Xbox One S 500GB, and at $39 Xbox Controllers. Take your pick and happy shopping!